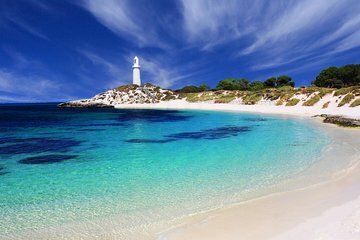 Your Rottnest Island ferry departs from either Perth or Fremantle, depending on option selected when booking. If leaving from Perth, you’ll cruise down the Swan River through the city to reach Fremantle, from where it’s a 25-minute ride across the ocean to Rotto, as it’s known to locals. At the end of your full day on the island, head back to Fremantle or Perth on the return ferry.